I have the great pleasure of hosting blog pieces from our exemplary partners on this platform. Today's blog comes from our Ugandan-based partner, S.O.U.L. Foundation. Too often in the international development sector we rely on weighty jargon- like the term Community-Driven Development. It's all the rage among funders and practitioners! Except no one really knows what it means. Fortunately, we have examples like S.O.U.L. 's model to give us tangible examples of what it means for a community of beneficiaries to truly create and drive their own vision for development. Please read, enjoy, and be inspired! This is a guest post by Andrea Koris, 2015-2016 Global Health Corps Fellow at S.O.U.L. Foundation. The scene: a red dirt road, long and winding, empty save for the dust of a distant truck. Dark clouds rumble overhead, a distant rainstorm stirring up the banana palms. A young woman named Edisa--23, pregnant, and alone--stands on the side of the road, worriedly surveying her options. If she walks left, she will end up at the local health center in three hours. If she walks right, she will be at the traditional midwife's house in thirty minutes. She braces herself against the contraction rolling through her and, as it subsides, she makes the only possible decision given her lack of transportation: head to the local midwife. 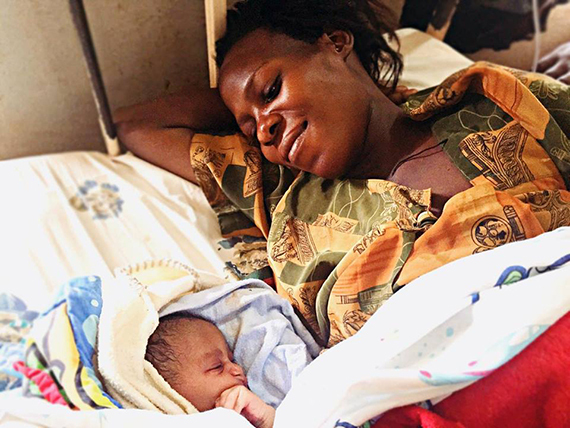 While she might have a safe and uneventful delivery, she could be the 1 in 44 Ugandan women who die every day at the hands of an unskilled birth attendant. It is a dangerous risk she is forced to take. The location: eastern Uganda. Settled deep in the rural villages of Jinja District, the committed and passionate staff at S.O.U.L. Foundation hear stories like Edisa's everyday. Pregnant women in rural areas face incredible odds when navigating access to safe, qualified maternal health care. Lack of health information, money, male involvement, and proper medical care leads to an epidemic of maternal mortality, with 343 per 100,000 Ugandan women dying in childbirth every year. These women are often the poorest of the poor, living in the most remote corners of the country. The protagonists: As a community development organization, women like Edisa reside at the center of our mission. Founded in 2009 by young American nurse Brooke Stern, S.O.U.L. was built with the intention of piloting a new vision for aid by asking women like Edisa what they needed and--just as importantly--how she would like to be involved in building a new road. Stern forged the foundation of S.O.U.L. on strong community partnerships, implementing a co-ownership model to development. The effectiveness of this model is most evident through S.O.U.L. 's new community-designed maternal health program. At S.O.U.L., we make the road by walking. Rather than wait for experts from outside to tell us what is needed, we trust that women like Edisa know exactly what to do if given the opportunity. Artful listening in places traditionally colonized by outside forces does not come naturally. S.O.U.L. has spent years developing trust, competency and shared leadership within the community and has itself transformed as an extension of the community. What resulted from our alternative design efforts was a collaboratively created maternal health program, conceptualized by the very women and health workers benefitting from the program's services. As a result of this exciting new stakeholder investment, the program addresses each complex dynamic that contributes to maternal mortality specifically in the eastern region of Uganda. S.O.U.L. 's program has three stages that address each of the delays, as well as the specific ways in which the "delays" manifest throughout rural villages in eastern Uganda. The first stage of the program combats lack of health education through the creation of a Maternal Health Education class, which provides women in the villages a chance to learn about childbirth, pregnancy danger signs, prenatal nutrition, financial preparedness, and newborn care from a Ugandan midwife. Operational since October 2015, the class has served over 460 women and men and is actively changing health beliefs and behaviors across the region. The second stage of the program focuses on building alternative transport and communication networks to break down the delay in reaching medical care. S.O.U.L. is currently building an SMS mobile platform that will serve as a motorcycle taxi dispatch system, which rural women can access at any time in the event of pregnancy complications or the onset of labor. The third and final stage involves the creation of a birth center and midwifery school to dually address the delay in reaching the health center, as well as the delay in receiving adequate care once arrived at the facility. 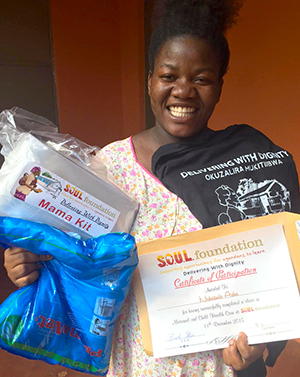 The birth center and midwifery school will embody the mission of S.O.U.L. by providing subsidized, beneficiary-centered services through a shared community investment plan. The finale: a community empowered through partnership to address the health needs of its mothers and daughters. The S.O.U.L. Maternal Health Program is unique and one of a kind because it is designed by mothers, for mothers. No donor agendas, no imposition of external ideas. 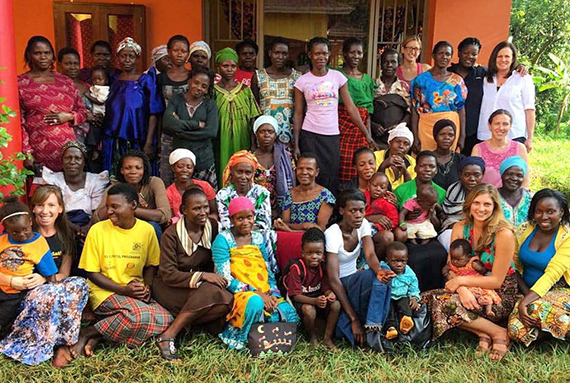 Given the opportunity to solve the challenges they face in accessing health care, the women of the rural villages of Jinja engage with the program in an unprecedented way. Everyday, women like Edisa are learning how to prepare for pregnancy so they are empowered with safe options. They are birthing the future of Uganda--one that they designed, themselves. Source: World Health Organization Bulletin, "Applying the Lessons of Maternal Mortality Reduction to Global Health"